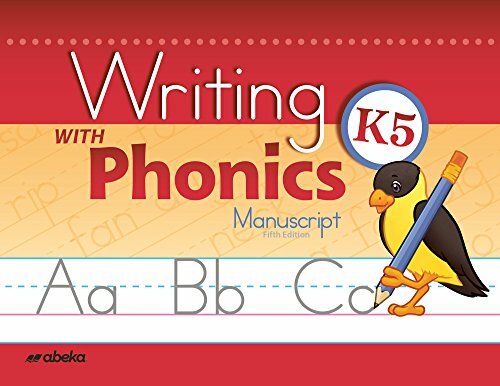 With a unique combination of learning the alphabet as well as the special phonics sounds, this book is a great foundation for one of the most important tools your child will need as he grows up. From tracing examples and writing his name to completing tests and coloring worksheets, your child will form the foundation for neat, legible handwriting. Extra practice is included to ensure that your child fully grasps the concepts of manuscript writing. This book also includes formation guide for all manuscript upper- and lowercase letters, common punctuation marks, and numbers 1-10. By the end of the school year, your child will be ready to start writing full sentences. View More In Early Childhood Education Materials. If you have any questions about this product by Abeka, contact us by completing and submitting the form below. If you are looking for a specif part number, please include it with your message. 240 Vocabulary Words Kids Need to Know: Grade 6: 24 Ready-to-Reproduce Packets Inside! Activity Board Toys Wooden Multicolor Pre Schooler Games Educational Toys Toy for Kids Best Toddler Baby Creative Crafts Boy Girl & eBook by Easy2Find.